This card was really just a bunch of experimentation. I used a background stamp, Versamark ink and white embossing powder to create the background. I hadn't done that in a long time. Then I wasn't all that sure about the Happy Holidays diecut. It was very thin....but it worked perfectly. The rest was easy - just a matter of getting everything centered the way I wanted it. So I guess all my experimentation worked out! 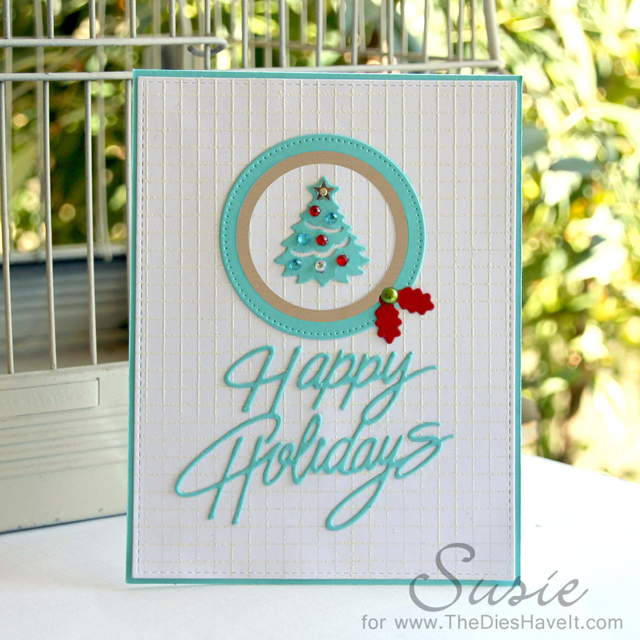 Love this CAS and mail friendly Christmas card, Susie!! Thanks so much for playing the Color Throwdown this week! What a beautiful design with the sweet little tree and the diecut sentiment...love this awesome design, Susie!!!! 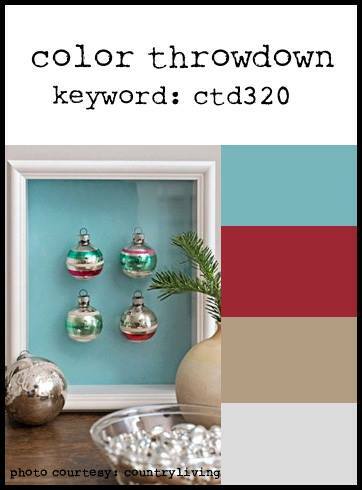 Thanks for playing along with us at the Color Throwdown Challenge!!! !